2. Add all the ingredients and bring to a boil. 3. Continue to boil, stirring all the time, till the mixture begins to gel and has a thick, jelly-like consistency. 4. Transfer to a clear, sterilized jar and close it tightly. 5. Keep the jar in the fridge until ready to use. 6. This stays good for 30 days if stored in the fridge. 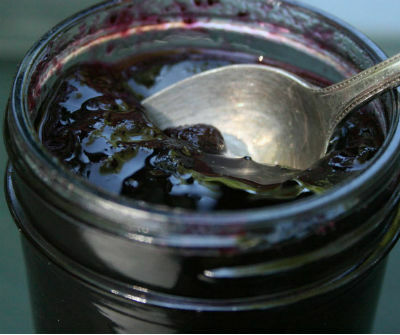 Feel free to comment or share your thoughts on this Blueberry Jam Recipe from Awesome Cuisine.